This systematic review and meta-analysis summarizes the safety and efficacy of high flow nasal cannula (HFNC) in patients with acute hypoxemic respiratory failure. We performed a comprehensive search of MEDLINE, EMBASE, and Web of Science. We identified randomized controlled trials that compared HFNC to conventional oxygen therapy. We pooled data and report summary estimates of effect using relative risk for dichotomous outcomes and mean difference or standardized mean difference for continuous outcomes, with 95% confidence intervals. We assessed risk of bias of included studies using the Cochrane tool and certainty in pooled effect estimates using GRADE methods. We included 9 RCTs (n = 2093 patients). We found no difference in mortality in patients treated with HFNC (relative risk [RR] 0.94, 95% confidence interval [CI] 0.67–1.31, moderate certainty) compared to conventional oxygen therapy. We found a decreased risk of requiring intubation (RR 0.85, 95% CI 0.74–0.99) or escalation of oxygen therapy (defined as crossover to HFNC in the control group, or initiation of non-invasive ventilation or invasive mechanical ventilation in either group) favouring HFNC-treated patients (RR 0.71, 95% CI 0.51–0.98), although certainty in both outcomes was low due to imprecision and issues related to risk of bias. 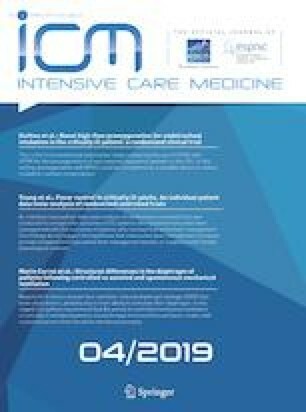 HFNC had no effect on intensive care unit length of stay (mean difference [MD] 1.38 days more, 95% CI 0.90 days fewer to 3.66 days more, low certainty), hospital length of stay (MD 0.85 days fewer, 95% CI 2.07 days fewer to 0.37 days more, moderate certainty), patient reported comfort (SMD 0.12 lower, 95% CI 0.61 lower to 0.37 higher, very low certainty) or patient reported dyspnea (standardized mean difference [SMD] 0.16 lower, 95% CI 1.10 lower to 1.42 higher, low certainty). Complications of treatment were variably reported amongst included studies, but little harm was associated with HFNC use. In patients with acute hypoxemic respiratory failure, HFNC may decrease the need for tracheal intubation without impacting mortality. The online version of this article ( https://doi.org/10.1007/s00134-019-05590-5) contains supplementary material, which is available to authorized users. The authors would like to thank Dr. Iris Arad for her help with the search strategy and running the search. 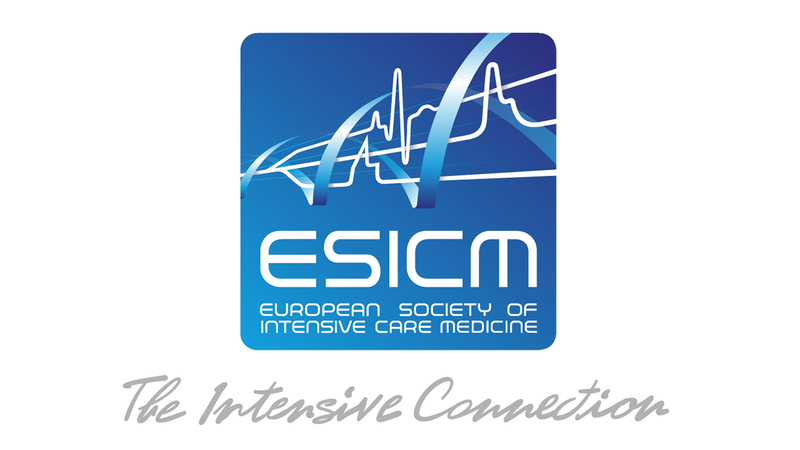 Dr. Einav has received funding for travel, given lectures, owns patents with and/or performed consultancy work for Zoll, Medtronic and Diasorin, has participated in multicentre trials run by Artisanpharma, Eisai and Astra Zeneca. Dr. Frat reports grants from the French Ministry of Health; grants, personal fees and non- financial support from Fisher & Paykel HeathCare; personal fees and non-financial support from SOS oxygene, outside the submitted work. Dr. Azoulay reports that Fisher & Payckle provided the optiflow device for the HIGH trial (to all the centers). They also provided support to my research group to organize research meetings. He also provides lectures for Alexion Baxter MSD Pfizer and Ablynx. Dr. Mercat receives fees for serving on a steering committee from Faron Pharmaceuticals, consulting fees from Air Liquide Medical Systems, grant support and lecture fees from Fisher and Paykel and Covidien, and lecture fees from Pfizer, ResMed, and Drager. Dr. Demoule reports personal fees from Medtronic, grants, personal fees and non-financial support from Philips, personal fees from Baxter, personal fees from Hamilton, grants and personal fees from Fisher & Paykel, grants from French Ministry of Health, personal fees from Getinge, personal fees from Respinor, outside the submitted work. Dr. Lemiale reports grants from the French Ministry of Health. The research group (GRRR-OH) she belongs to received financial support from Fisher & Paykel HeathCare; Pfizer, Gilead, Astellas And Alexion, outside this submitted work. Prof. Antonio Pesenti received consulting honorarium from Xenion, Maquet and Baxter outside the present work. He is also an inventor of patented devices for respiratory support and extracorporeal carbon dioxide removal. Dr. Mauri received speaking fees from Fisher and Paykel unrelated to the present work. Dr. Mancebo reports receiving personal fees from Faron and Medtronic. Fisher Paykel and A-Lung provided medical equipment for multicenter trials (high flow nasal oxygen therapy and extracorporeal CO2 removal respectively). IMT Medical provided travel and hotel expenses to attend a meeting. Dr. Brochard’s laboratory has received equipment and/or research grants from Fisher Paykel (high-flow), Medtronic Covidien (PAV+), Air Liquide (Helium, CPR), Philips (sleep), Sentec (tcPCO2), General Electric (ultrasound) and consulting from Baxter. Dr. Burns received a grant from Fisher & Paykel to conduct an observational study.